Film to provide shareholders with an engaging view of the business, highlight the challenge of managing a finite resource, and demonstrate the company's competence. 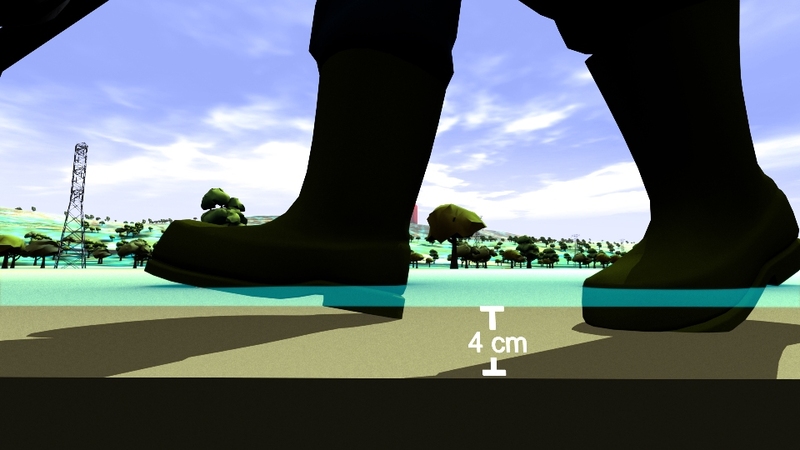 Animation showing the volume of the world's drinking water and real-time water use by the business. Also, images showing UK water use per head, comparison with other countries and the breakdown of how 137 litres per person is used. South West Water, a utility business supplying drinking water and waste water services in the south west of England, wanted a short film for the 2014 Annual General Meeting (AGM) of their parent company Pennon Group Plc. The aim was to provide shareholders who attended the meeting with a different and engaging view of the business, highlighting the challenge of managing a finite resource, and demonstrating the company's competence. We created a short animation showing the volume of the world's drinking water, and a view of the actual water use of the business in real-time. In addition we created several still images showing UK water use per head compared to other countries, and the breakdown of how the 137 litres per person is used. Finally we incorporated some video footage from the Space Station as well as some of the client's own photos into the film as a backdrop for key messages. 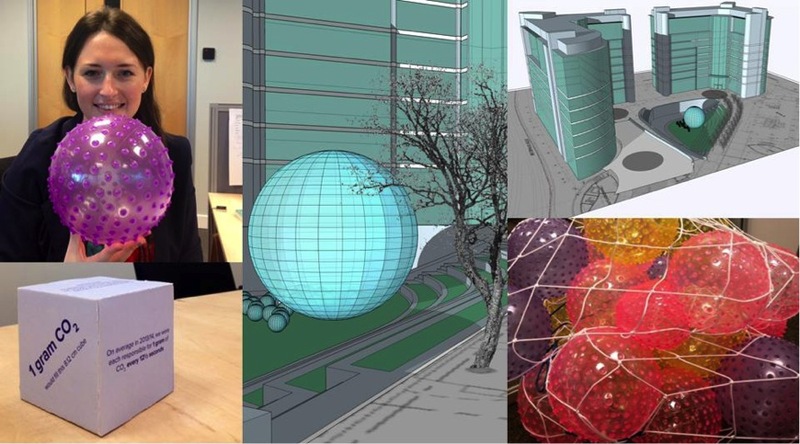 See Creative Director Adam Nieman's blog on visualising water here. To engage world leaders, industry experts, campaigners and scientists at the UN Climate Summit, New York, September 2014 and to catalyse and inform conversations about reducing carbon emissions. 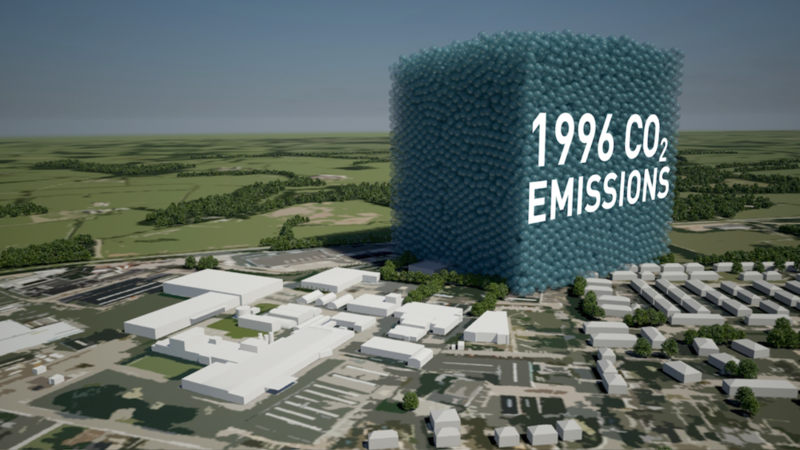 Film showing actual quantities of global fossil fuel consumption and carbon emissions, and the part that carbon capture and storage can play in limiting global climate change to 2 degrees. Among all of the documents, reports and images being released around the UN summit, we hope that this film will stand out and benefit all participants, as well as anyone who watches it around the world. A coal pile buries the UN General Assembly, gas races down 42nd Street and then New York is lost under a blue mountain. These dramatic CGI scenes, depicting actual quantities, create an immersive journey that brings home the scale of global carbon emissions and fossil fuel consumption. This dynamic four-minute film, being launched at the UN Climate Change Summit in New York September 2014, shows the part that carbon capture and storage can play in limiting global climate change to 2 degrees. 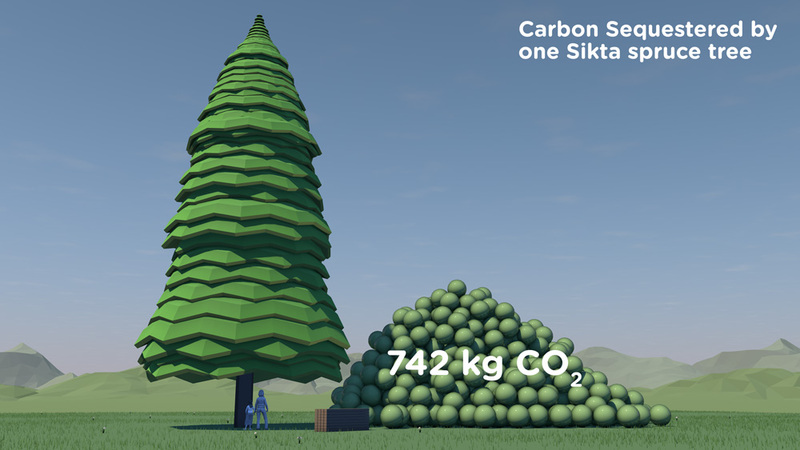 Commissioned by WBCSD and produced by Carbon Visuals, the animation is being shown to world leaders, industry experts, campaigners and scientists at the Summit to help catalyse and inform conversations about reducing carbon emissions. 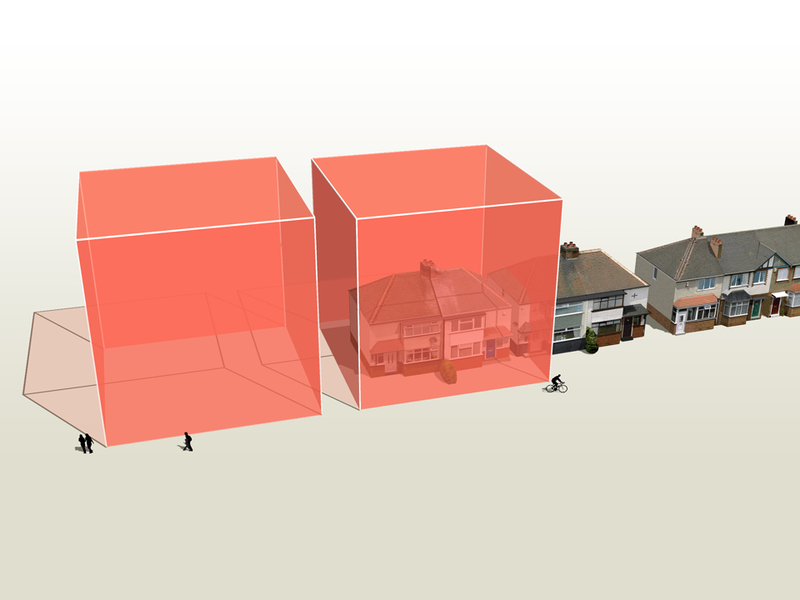 The volumes of coal, oil, gas and CO2 shown in the film are accurate volumes based on best available data. 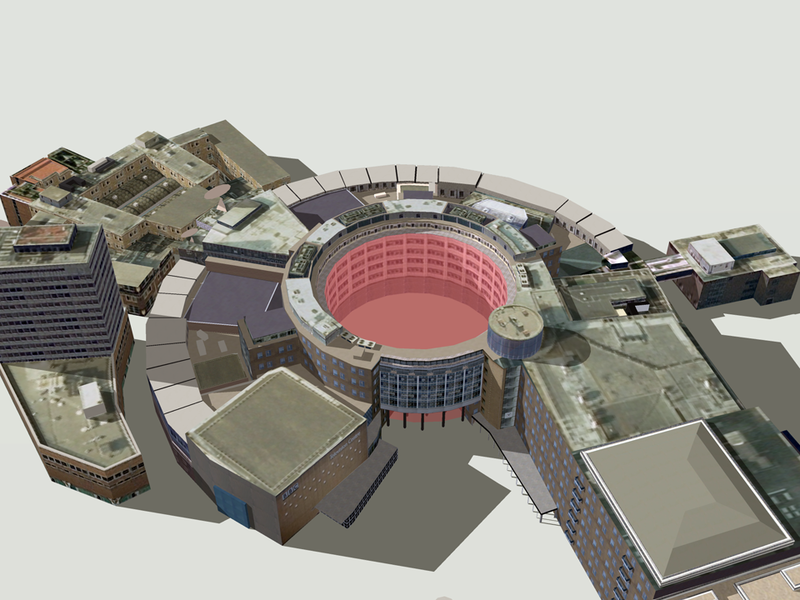 A detailed Technical Data Methodology document has been produced to accompany the film. 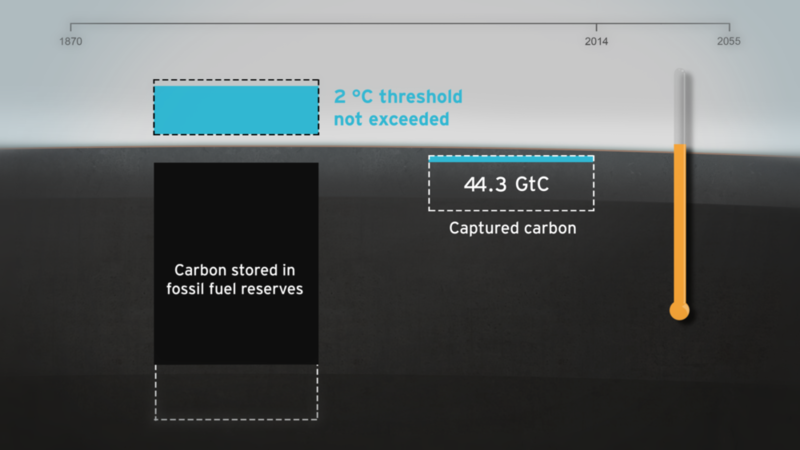 This shows all data sources, assumptions on future global renewable and non-renewable energy requirements and the potential of carbon capture and storage technology. In 2012 we added over 39 billion metric tons of carbon dioxide to the atmosphere. That’s 1,237 metric tons a second. 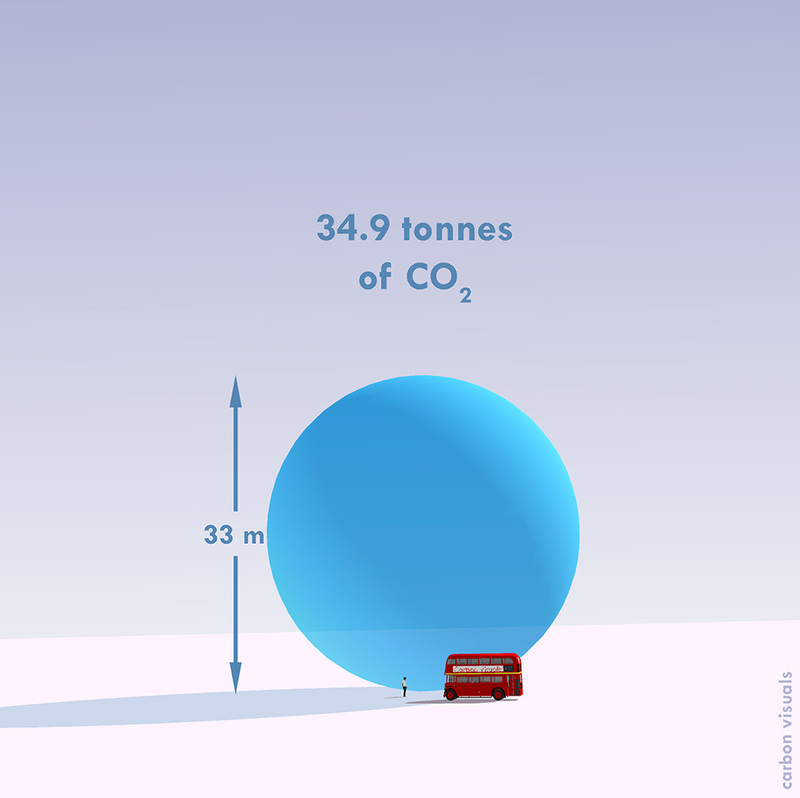 It is like a ‘bubble’ of carbon dioxide gas 108 metres across entering the atmosphere every second of every day. 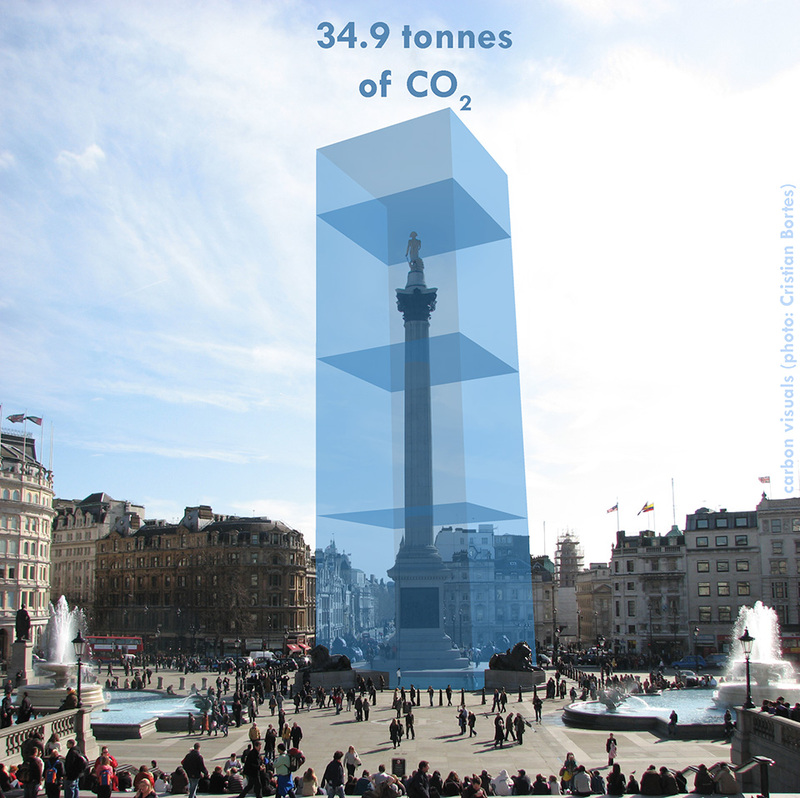 We could fill a volume the size of the UN Secretariat Building with our carbon dioxide emissions in less than half a second. We could fill it 133 times a minute. 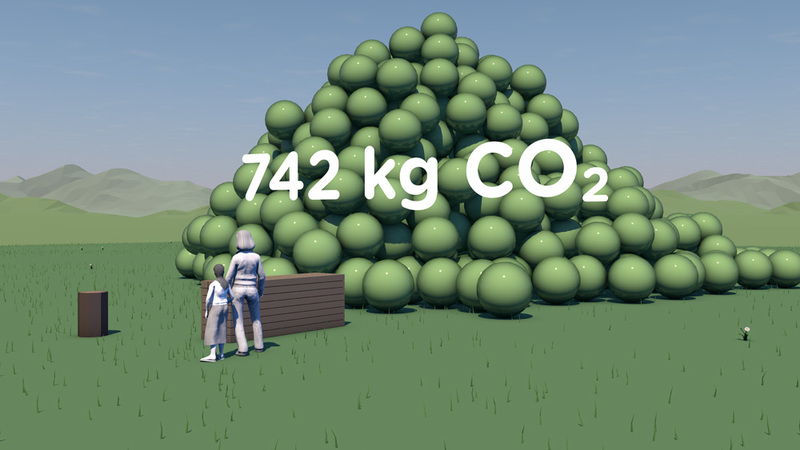 The pile of one metric ton spheres in the film, which represents one day’s emissions, is 3.7 km high (2.3 miles) and 7.4 km across (4.6 miles). This film tries to make those numbers physically meaningful – to make the quantities real; more than ‘just numbers’. The coal we use each day would form a pile 192 metres high and 546 metres across. We could fill a volume the size of the UN Secretariat Building with coal every 17 minutes. At the rate we use oil, we could fill an Olympic swimming pool every 15 seconds. 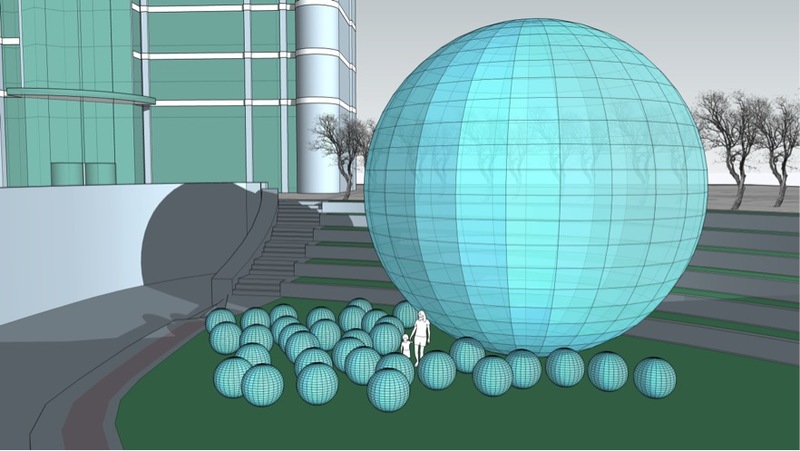 This would fill a volume the size of the UN Secretariat Building with oil every 30 minutes. The rate at which we use natural gas is equivalent to gas travelling along a pipe with an internal diameter of 60 metres at hurricane speeds (135 km/h / 84 mph). 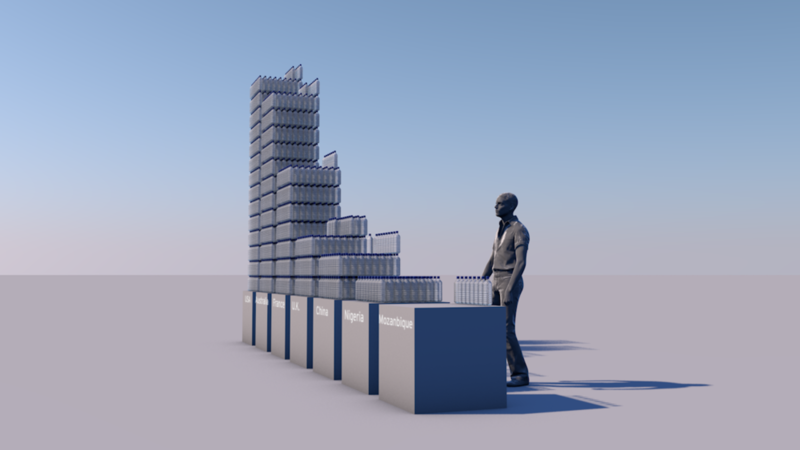 We could fill a volume the size of the UN Secretariat Building with natural gas in under 3 seconds. 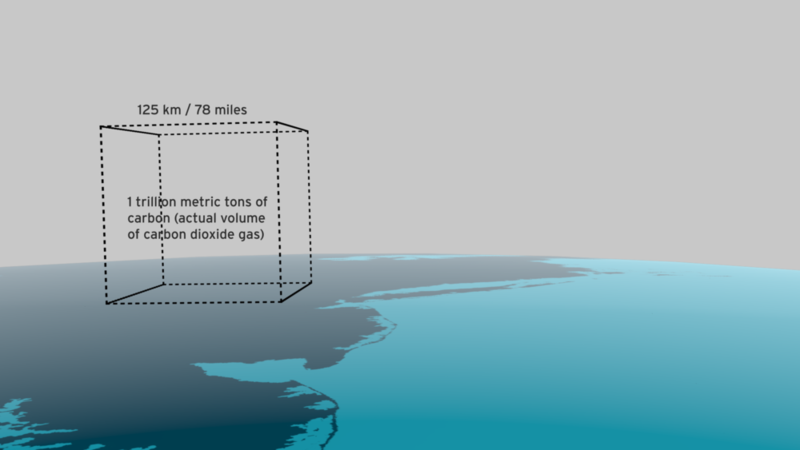 We use a cubic kilometre of gas every 2 hours 37 minutes and a cubic mile of the stuff every 10 hours 54 minutes. A set of shorter clips has also been released, featuring some of the most impactful scenes of the main film. These are intended for use by everyone, from industry through to educators and campaigners. Get in touch if you would like hi-res versions. To help their dealers understand that although the amount of CO2 offset for a single one litre pack of engine oil might be small (2 kg), it adds up. Particularly when seen from the point of view of a whole country, or indeed world sales. 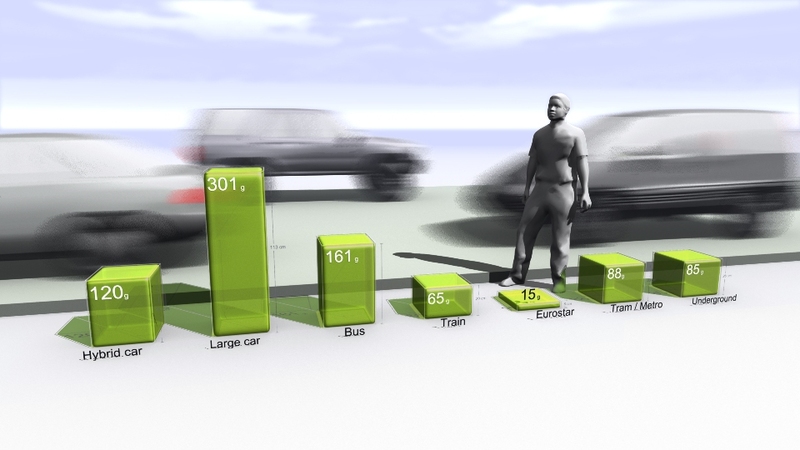 An animated film for the European dealer launch at CERN in Switzerland of ‘the world’s first CO2 Neutral Engine Oil’. A resounding success - thank you for turning this round so quickly. We are very happy with the final product and it was well received last week at CERN. 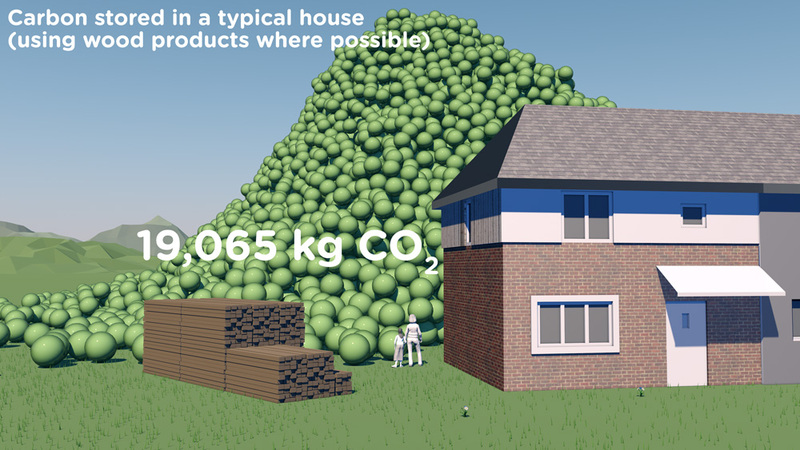 How do you visualise carbon offsetting? This is, after all, carbon removed from the air to mitigate actual emissions. That was the challenge facing us when asked by Castrol Professional to create an animated film for the European dealer launch at CERN in Switzerland of ‘the world’s first CO2 Neutral Engine Oil’. Castrol wanted a way to help their dealers understand that although the amount of CO2 offset for a single one litre pack of engine oil might be small (2 kg), it adds up. Particularly when seen from the point of view of a whole country, or indeed world sales. 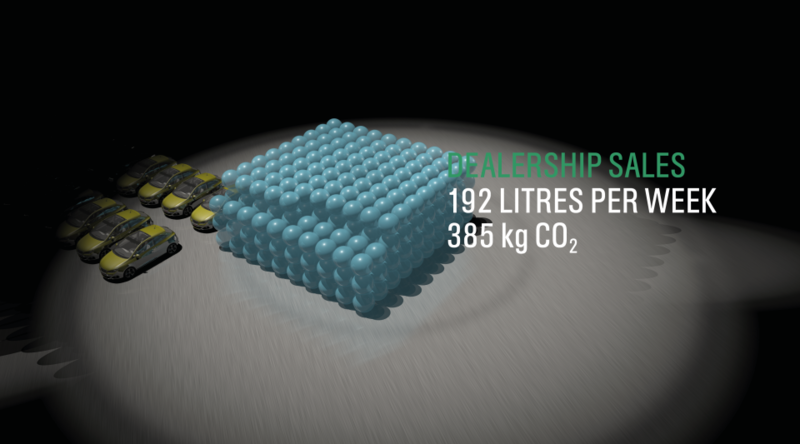 Rather than showing the CO2 emitted in the manufacture of a consumer product, our role was to show that Castrol ‘neutralised’ those emissions. We set about writing and developing a story-board that could be animated in record time (we had less than a month to complete the project). 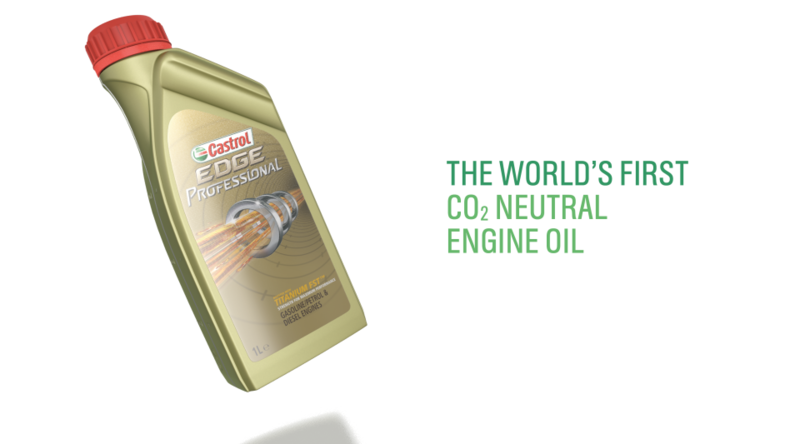 Castrol Professional products have become the first CO2 neutral engine oils in Europe. EDGE Professional, MAGNATEC Professional and GTX Professional have all been certified CO2 neutral according to BSI PAS2060, a standard for measuring and managing the CO2 footprint of a product’s life cycle. The company underpins its CO2 neutral claims with good science including reduction in the manufacturing process. It offsets the remaining CO2 by investing in a portfolio of emission reduction projects such as reforestation in Kenya, clean electricity generation in China and wind farms in New Caledonia. 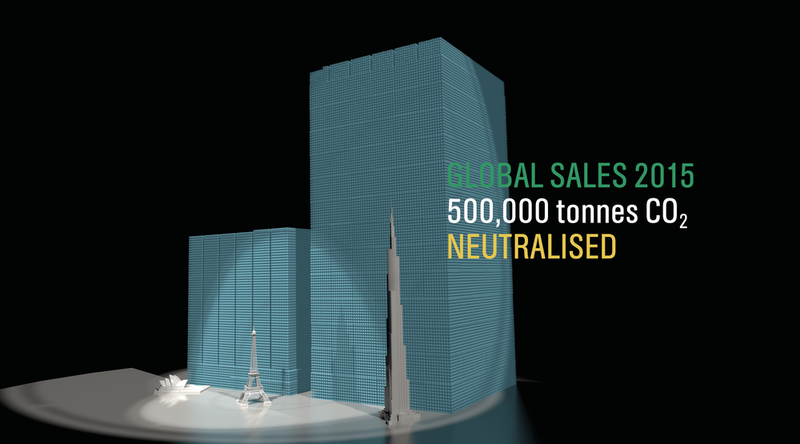 In 2014, 200,000 tonnes of CO2 are likely to be neutralised globally by Castrol Professional. This figure is expected to grow to nearly half a million tonnes annually the following year. Tackling CO2 emissions is a major issue for the automotive industry globally and Castrol Professional has made this a central part of our working relationship with manufacturers and dealers, as we develop ever-more sophisticated engine oil formulations. This is a practical step towards a longer commitment to innovate sustainably through continued technological and scientific advancement. 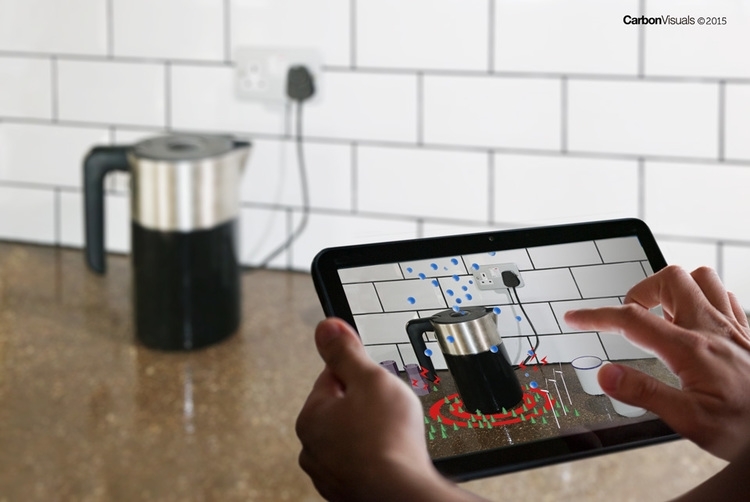 To cover so many visualisations in 90 seconds with a strong product focus was potentially a tall order. Looping our narrative through a virtual world within the pack itself encourages viewers to explore and re-explore this complex story. The brevity and directness of this film gives staff, dealers and consumers an easy and quick feel for the product and emissions saved on a range of scales from a litre to half a million tonnes. To show the 90% carbon reduction achieved since 1996 at the European manufacturing facility in the Netherlands. 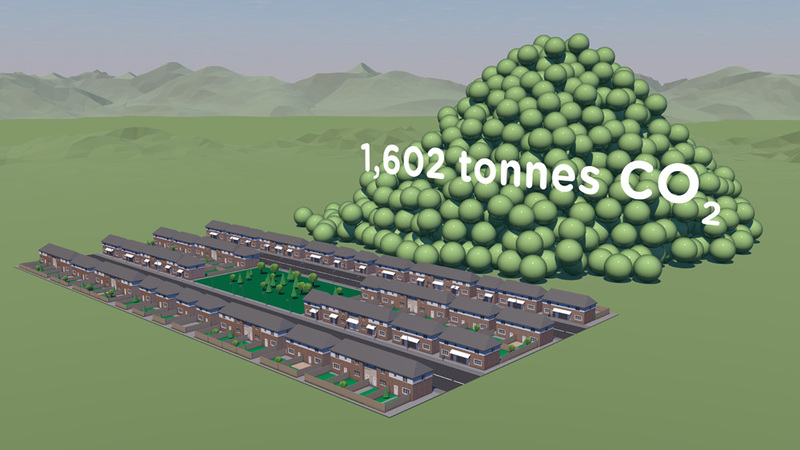 Short animation that can be used on social media together with before and after images showing the Scherpenzeel factory and surroundings with the dramatic reduction in emissions. In the past three years we have taken huge strides towards our Mission Zero goal. To put it in context, we are now operating our European factories with a 90% reduction in greenhouse gas emissions compared to 1996 while the EU Commission has set an EU carbon reduction target of 40% by 2030. Carbon Visuals has helped Interface, the carpet tile manufacturer and pioneer in corporate sustainability, show the impressive 90% carbon reduction achieved since 1996 at its European manufacturing facility in the Netherlands. We created a 3D model of the Scherpenzeel factory and surrounding area and populated it with our trademark ‘carbon bubbles’. 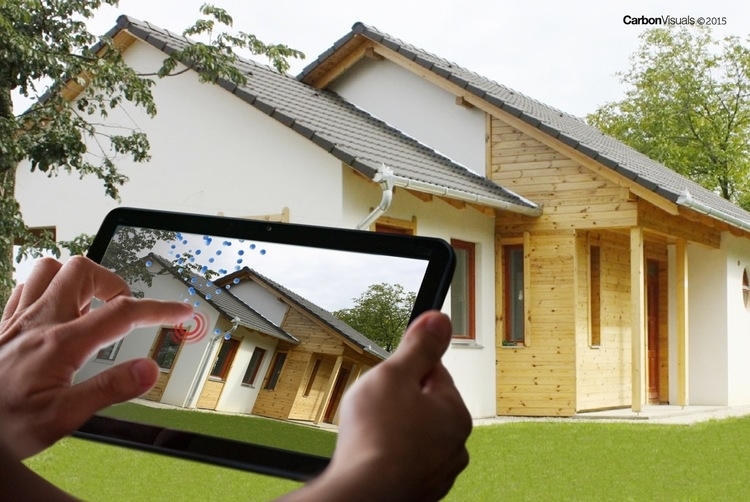 Deliverables included volumetrically accurate ‘before’ and ‘after’ images as well as a short animation that can be used on social media or as part of a longer video. Infographic illustrating how the emissions reduction has been achieved. To illustrate their capability to help farmers manage and reduce emissions. Film that combines live action and animation to explore the carbon footprint of the UK potato at personal and farm scales. ADAS, the land and farming consultancy, wanted to compliment the earlier film that we made to illustrate emissions, sequestration & stored carbon on upland farms in the Peak District National Park. This time they were keen to illustrate their capabilities in helping mainstream farmers manage and reduce their carbon emissions. The film explores the carbon footprint of the UK potato at the personal scale, as well as carbon saving potential at the farm scale. 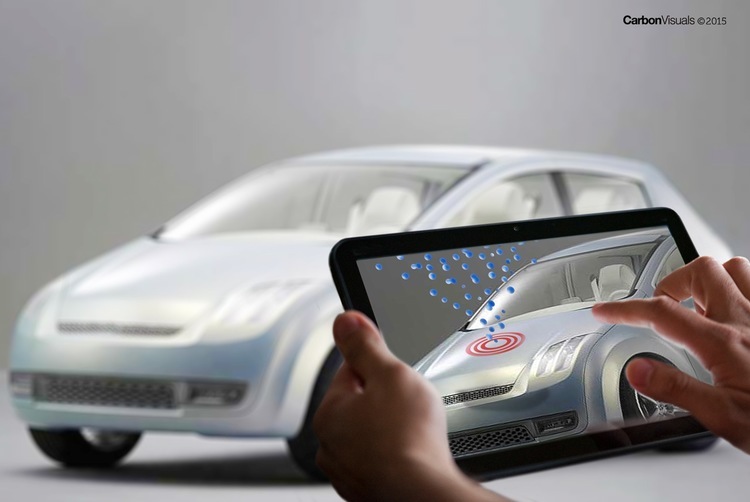 To see all our work for ADAS, click here. Carbon Visuals is keen to explore the use of film for helping everyone better understand carbon emissions from everyday activities. Please contact us if you have ideas. 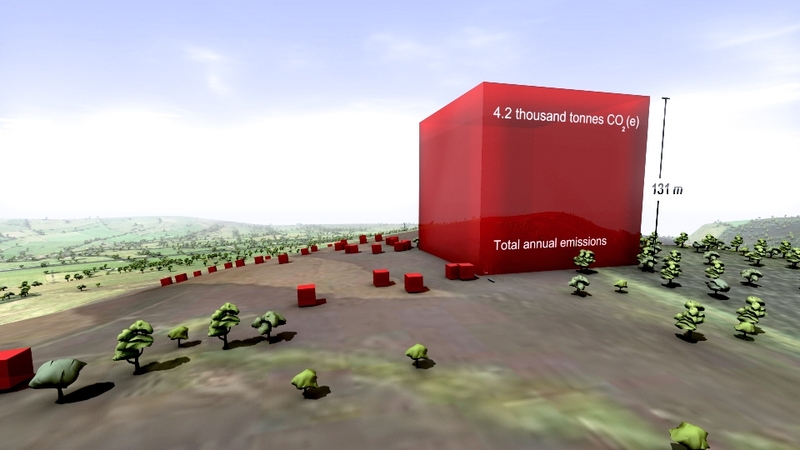 Carbon Visuals have created this short animation film to show the emissions, sequestration & stored carbon on ten upland farms in the Peak District National Park. The farms extend over 1,500 hectares and comprise part moorland, part pasture. The data was taken from ADAS Report Environmental Quality Mark (EQM) Farm Carbon Footprint and Water Audit Pilot Project. The core message from the film is that these farms are not only producing food and preserving the landscape. They are performing an important role as guardians of a huge carbon store that is best kept in soils and vegetation. We believe that this is a 'world first' for this type of medium. Created for the consultancy ADAS, the film demonstrates the potential for moving animation to communicate complex carbon stories. The film is being used to engage a variety of stakeholders including ADAS staff, farm managers and agricultural policymakers. If you like this approach, and feel that it would suit your particular carbon communication challenge, then please contact us. Total annual emissions of CO2, methane and nitrous oxide on the audited farms was 4,200 tonnes of carbon dioxide equivalent gas. The carbon audit found that around 1,000 tonnes of carbon dioxide equivalent has been sequestered in soils and vegetation by the ten farms of this upland landscape over the year. This 1,000 tonnes would cover the 1,500 hectare area to a depth of 4 cm. Adas have estimated that 736 thousand tonnes of carbon dioxide equivalent are stored in the soils and vegetation just for the ten farms in the study. Annual emissions from UK agriculture (actual volume) alongside the carbon footprint of ADAS. ADAS provides environmental solutions, rural development services and policy advice. The company is leading projects on GHG methodologies and mitigation measures for food production and agriculture in the UK. For both simple and complex foods, the key is to understand the production processes of crops and animals in intensive, extensive and organic production systems. 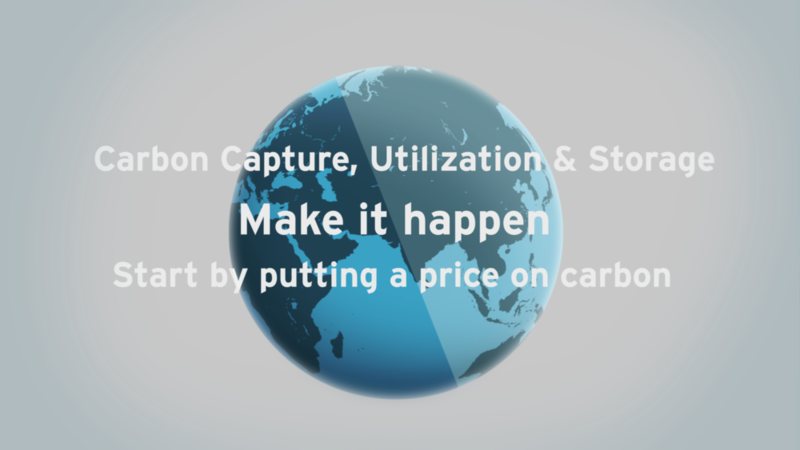 The company asked Carbon Visuals to provide a series of images to showcase their carbon management consulting capability to the food and agriculture sector. 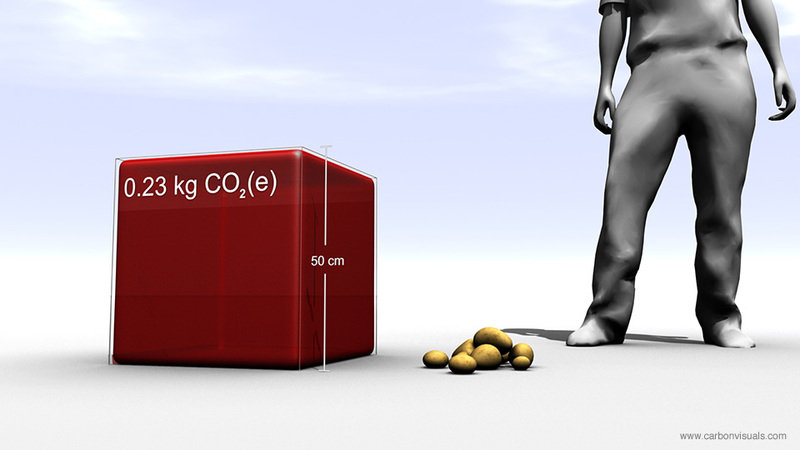 We created images depicting the carbon footprint of potatoes in relation to the production of school meals in the UK. 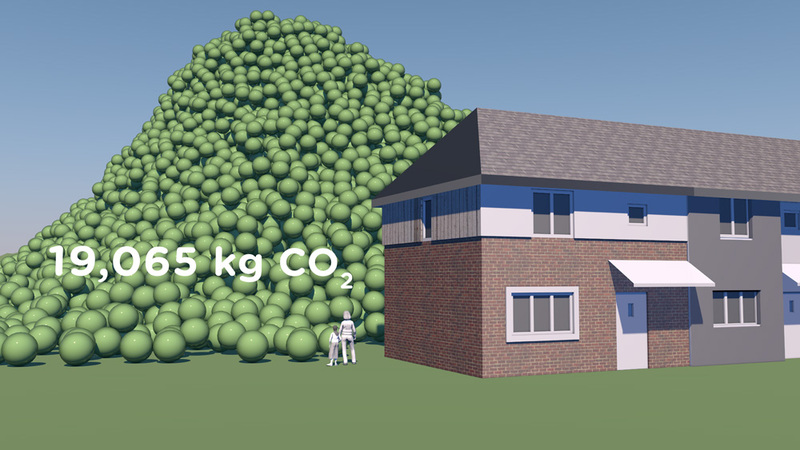 In addition we provided an animated film showing the emissions, sequestration and stored carbon on ten Peak District farms. 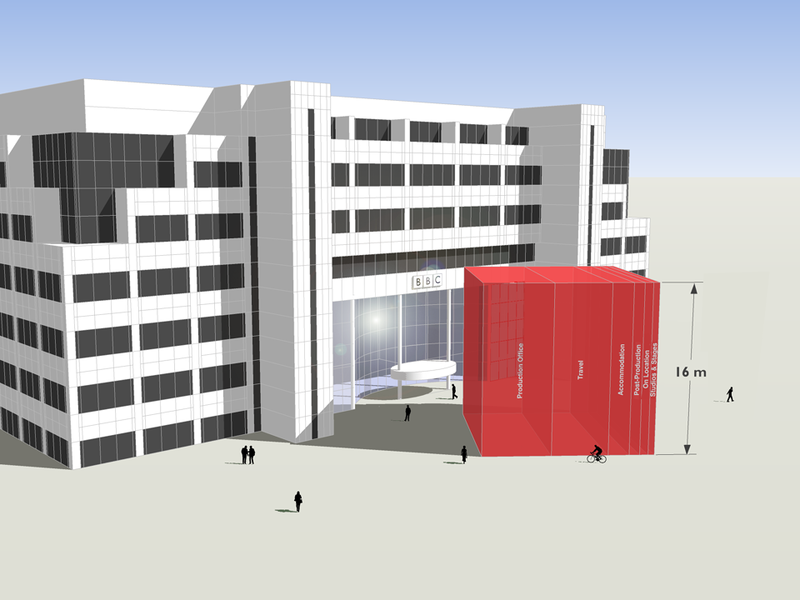 Finally we produced a set of images to show the company's own carbon footprint and their reduction target. This included a comparison with the total emissions from UK agriculture - which they are able to influence through their consultancy practices.